Your One Stop Beauty Supplement! Placenta has been used in China for over 1400 years as a Chinese Medicine or promoting general health. It has a wide range of health benefits including enhancing body energy, skin complexion and slowing the aging process. 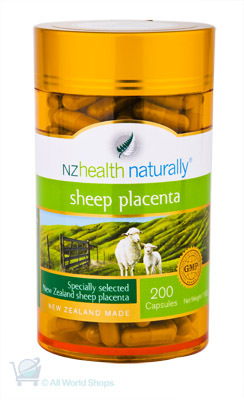 Recent scientific research has shown placenta contains rich growth factors, hormones and antibodies, and other concentrated nutrients that can rejuvenate organic tissue.